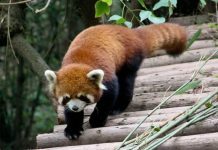 I have gathered some of the most useful facts about cute endangered animals. 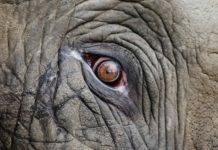 Perhaps due to the dramatic increase in the world’s human population in the last couple of decades, the natural habitats are disappearing or are being degraded. About one-third of the earth’s land is already occupied by agriculture. Consequently, many plants and animal species are now beginning to subsist in portions of habitat fenced by a human-dominated ambience. Nonetheless, conservationists are doing best to preserve natural habitats of many species through promoting the creation of protected areas. 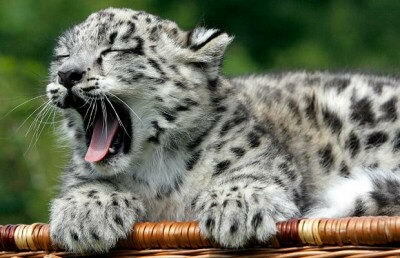 The snow leopard (Panthera uncial) is a medium sized cat native to the mountainous ranges of Central Asia. These leopards are typically found at an elevation of 3,350 to 6,700 meters (10,990 to 22,000 feet) above sea level. Scientists are not sure about the total number of snow leopards remaining in the wild; however, according to a rough estimate there are around 4,080 to 6,590 individuals remaining. Snow leopards are fairly smaller in comparison to the big cats with the weight measuring at 27 to 55 kg (60 to 120 lb). The numbers are consistently declining because of poaching, overhunting, and scarcity of prey. Snow leopard male can grow to a size of 75 to 130 cm (30 to 50 inches), with the tail measuring at 80 to 100 cm (31 to 39 inches). They stand 60 cm (24 inches) at the shoulder. The panda (Ailuropoda melanoleuca) also called giant panda is a bear species endemic to the south western and central-western China. These bears are characterized by their prominent black spots around the eyes and across its body making it a black-and-white bear. 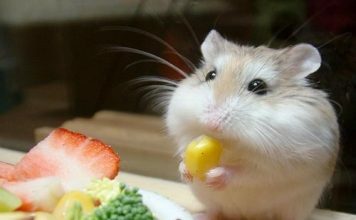 Although they belong to the Carnivora order, 99% of the diet is composed of bamboo. The giant panda occasionally feeds on wild tubers, rodents, carrion, birds, and other grasses in the wild while in captivity; they will consume oranges, bananas, fish, honey, eggs, shrub leaves, and yams. 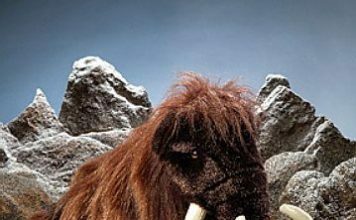 They inhabit all along the mountainous ranges of China in the Sichuan province. The population is facing drastic decline due to excessive deforestation and human encroachment. Giant panda is listed as critically endangered species by the International Union for Conservation of Nature. There are no more than 1,500 pandas remaining in the wild. 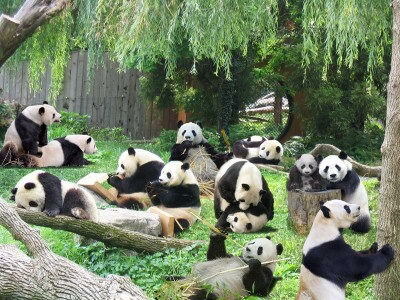 Giant panda is also the national emblem of China. The brown spider monkey (Ateles hybridus) is a species of spider monkey, belongs to the New World Monkey and is listed as critically endangered animals by the IUCN. They are known to live in the northern Columbia and northwestern Venezuela. Brown spider monkey can be recognized for its lengthy prehensile tail and long limbs. The population of spider monkey faced drastic decline by almost 80% over the past few decades which is why they are classified as endangered species. 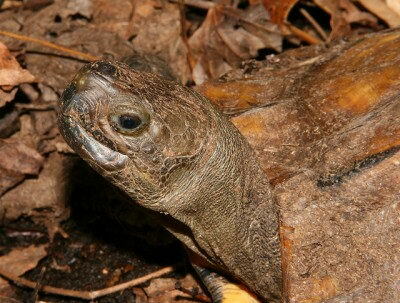 Arakan forest turtle is a rare turtle species that is found in the Arakan hills of the Myanmar in Southeast Asia. This species was observed the last time in 1908 until 1994. They were killed for food which is why only a small numbers are known to live in captivity while a few are in the wild. These animals remain inactive most of the time by hiding themselves in leaves. They are primarily omnivores and are known to feed on plants and animals. Arakan forest turtle is an aggressive species when it comes to feeding on fish, worms, and insects. 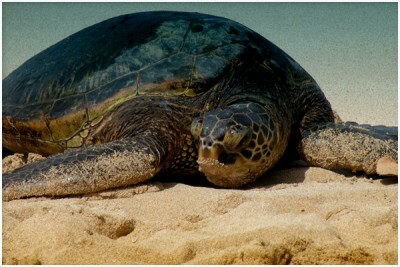 The leatherback sea turtle, often known as lute turtle is the largest extant species of turtle. They can grow to a size of 1.83 – 2.2 meters (6.0 – 7.2 feet), with the weight measuring at 250 – 700 kg (550 – 1,500 lb). The carapace measures around 1 – 1.75 meters (3.3 – 5.74 feet) in length. The largest specimen ever found was measured at 3 meters (9.8 feet) including tail. The leatherback sea turtle inhabits all throughout the range of Norway, Alaska, and Cape of Good Hope (Africa). They are mostly found in subtropical and tropical waters, extending to the Arctic Circle. 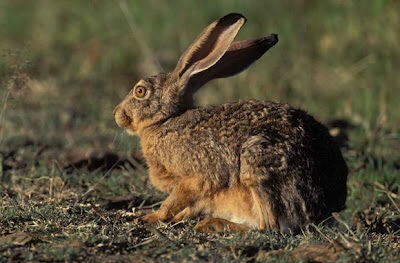 The hispid hare also referred to as Assam rabbit is a native species to the South Asia. Currently, they occupy a limited range of only 500 sq. km and are also found in the foothills of Himalayas. 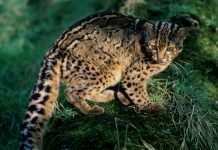 They are listed as critically endangered species as the numbers are continuously declining due to human encroachment, agriculture, and flood control. The length of the tail measures around 30 mm (1.2 inches), with the weight averaging 1,810 – 2,610 grams (4.0 – 5.8 lb) in males while females weigh around 2,248 grams (4,96 lb). 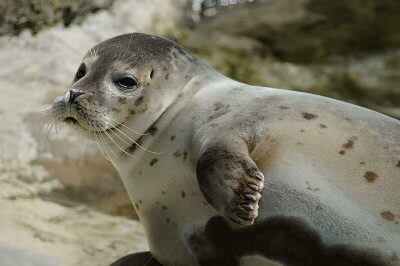 The Mediterranean monk seal is a pinniped associated with the family of Phocidae. There are around 450 to 500 individuals remaining in the wild and are therefore, listed as critically endangered species. 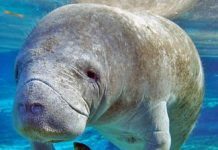 These animals inhabit all throughout the Atlantic Ocean and Mediterranean Sea. The length of monk seal measures around 80 cm with the weight averaging 315 kg (695 lbs) in males while females weigh around 300 kg (660 lbs). They live up to 20 to 25 years, and the maturity is reached at the age of four. 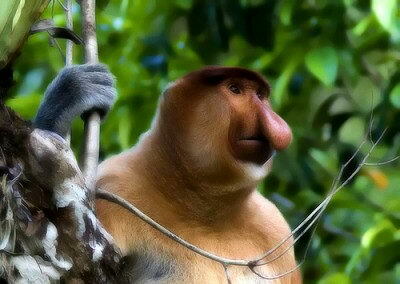 The proboscis monkey is a long-nosed monkey native to south-east Asian countries. 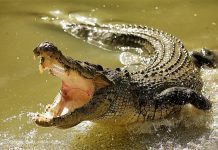 The males have a length measuring at 66 – 76.2 cm (26 – 30.0 inches), with the weight up to 16 – 22.5 kg (35 – 50 lb). The length of the female measures around 53.3 – 62 kg (21.0 – 24 inches), while the weight measuring at 12 kg (15 – 26 lb). They have the largest nose among all primates. These species generally live in groups comprising one adult male and few females. 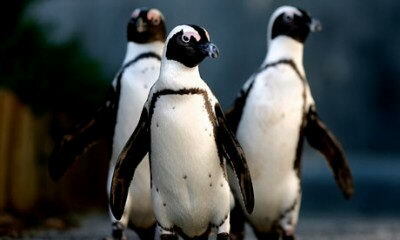 African penguin is a penguin species found in the waters of southern Africa. These flightless birds are also known as black-footed penguins and they grow to a size of 68 – 70 cm (26.7 – 27.5 inches) in height, with the weight measuring at 2 – 5 kg (4.4 – 11 lb). African penguins are easily characterized by the black spots on their chest. African penguins for the most part inhabit in Algoa Bay, Port Elizabeth, Namibia, including other 24 islands. They live in colonies. 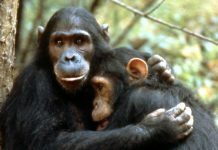 Chimpanzee belongs to the family of Hominidae along with humans, orangutans, and gorillas. 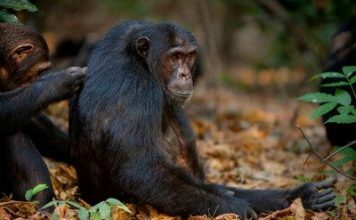 They are believed to be the closest relatives of humans and can stand 1.7 meters (5.6 feet) tall, with the weight as much as 70 kg (150 lb). The males are fairly larger in comparison to the females. 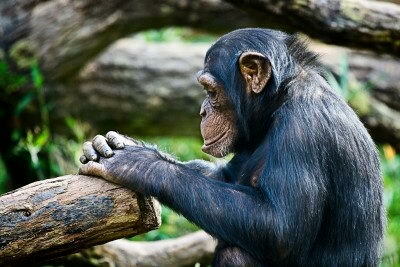 They are commonly referred to as chimps. we shall save the monkey!